1Will hearing instruments actually improve my ability to hear? You tell us! We can set-up bespoke solutions for you if you decide to entrust your long-term hearing health care into our hands – we work relentlessly on your behalf. You will be fitted in our unique ‘Sound Lounge’ where a full kaleidoscope of sound environments will be played to you. Once the first fitting has been completed, you return to your everyday surroundings with enhanced hearing – family/friends/work/social events/television/telephone until your follow up appointment a few weeks later. From your feedback, we sometimes do not make any adjustments or perhaps some minor ones – we work with you until you are completely happy with your hearing solution. Further follow up assessments are scheduled two weeks later, then again three weeks after that. During your acclimatisation process we are always here for you. If needed you can always have unlimited additional assessments as we are open 6 days a week. We will always see you quickly and without fuss. Not only do we want you to hear sounds that you would have not heard for many years, we now want you to revel in the enjoyable experience. We give everyone 100 days to trial their solution, as this enables every client to be completely satisfied with their solution and with the service we offer. 2What are the differences between basic types of hearing instruments? There are a variety of styles and levels of instruments. There are six global manufacturers and we have access to all of these, so we have a wide solution of instruments, with different levels of sophistication across all price points. 3What kind of hearing instruments would be best for me? We need to fully understand your lifestyle and requirements. We fit a wide spectrum of patients including professionals, sportsmen/women, musicians, students, farmers, pilots, retired people – there is little value in over-prescribing you, as you may be paying for features you will never use, likewise, having an under-prescribed solution may not address all of your concerns. 4How are hearing instruments priced? there is a vast array of hearing solutions from all six laboratories in the UK, Denmark, Switzerland and the USA. We are more than competitively priced with tailor-made solution starting from just £445.00.  We are a local Isle of Man company and so, unlike the UK based hearing companies, we never pass on the high costs necessary to deliver a service to the Island. 5What’s the return or trial period on the hearing instruments I’m purchasing? At Hearing Solutions, we offer a 100 days trial period compared to just 30 days offered by UK based companies. All our systems promise 100 day 100% satisfaction, 100% full refund. Lesser providers only offer 30 days – we want you to be completely satisfied hence such a long trial period. 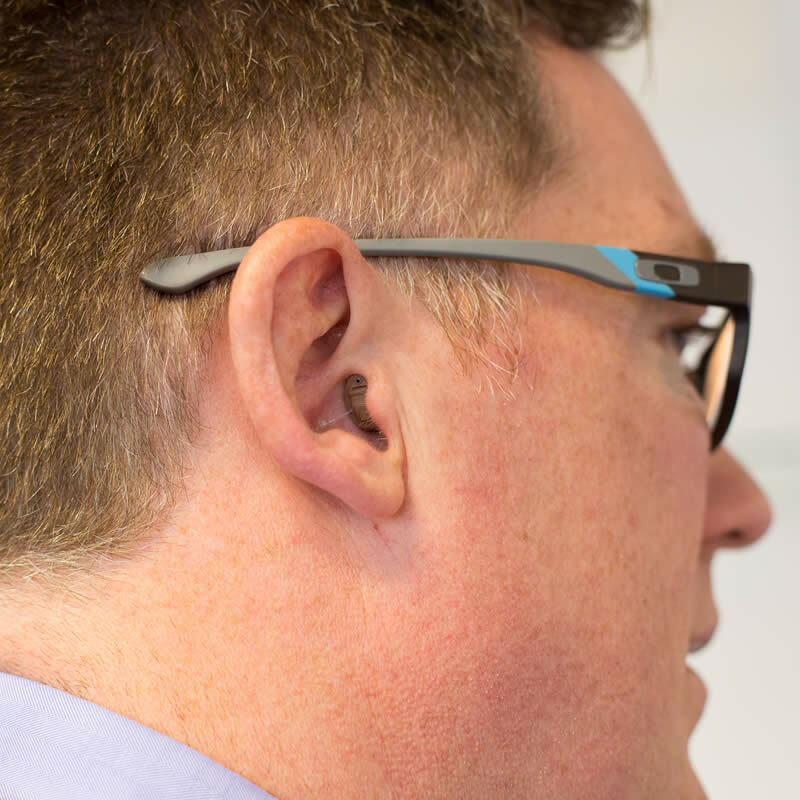 This year alone, from over 220 patients fitted with hearing solutions, we have seen a 99% success rate. If you are not totally satisfied we can go to another manufacturer or of course return ALL your money back to you. 6Are there non-refundable fees, if I return the hearing instruments? If so, how much? Unlike our competitors we return all your money, we do not hold any back and again, uniquely, return your money back straightaway. 7What kind of post-fitting and hearing rehabilitation programs do you provide? our ethos is based on offering good old fashioned service, combined with the very latest techniques. We pride ourselves on our extensive and comprehensive after-care and rehabilitation programmes. This is what we do best and it is what we love to do! While other national suppliers have major difficulties looking after or providing any post-care, we welcome patients into our comprehensive after-care programme. This comprises a thorough hearing assessment, full use of Europe’s first ‘Sound Lounge’, free batteries, follow-ups (every 4 months) and unlimited appointments for you, again without charge. Our quest is to be Europe’s finest audiology clinic based on a level of after-care and rehabilitation programme. We will work with you to make you hear the very best that you can all of the time. 8Can I expect to come back for minor alterations? Of course! Any time and without charge. We are only disappointed if a patient has a concern and doesn’t let us know. 9Do you provide a written contract or purchase agreement? Yes, we provide paper copies and will also email you if required. We are also great believers in a hand-shake so never ask for a deposit or for you to pay up front for your hearing system before you receive them. 10Is there a warranty? Who honours the warranty, you or the manufacturer? We offer every solution a 5 year comprehensive international warranty. This is given directly by the manufacturer, so if you are off the Island you are still covered. Other suppliers offer just two years warranty and then can go on to charge £189 per year afterwards. So a further saving of £577 is made through being a patient of ours. 11Is there financing available for buying hearing instruments? Yes but we don’t not nor ever will believe in charging interest. If you prefer to spread your payments out and it is the right way for you then we will happily oblige. 12Can I get insurance in case they’re lost or damaged? We do not believe in charging, nor will ever charge for insurance (other companies charge up to £179 and if your hearing instrument is lost they will also charge you 10% excess) We work alongside all the major Islands insurers to enable you to get the very best cover. 13What’s the average lifespan of this hearing instrument? We often speak to manufacturers about this, assuming you wear your solutions from 8am to 10pm – that is 14 hours per day x 7 = 100 per week and over 5000 hour to you. This will then work out at around 5-7 years per solution (although many of our patients have had theirs for a lot longer). 14What happens if my hearing instrument stops working? This can happen as they work in the ear canal which can be moist or full of wax. As we see our patients every 4 months, we clean, check and service the solution, ensuring you get the most out of the instrument and prolonging its life. Usually, we can get them back to working normally; you can either call in to the clinic or we come out to you. If it needs to go back to the manufacturer we send them by recorded delivery and it usually takes about a week to return them. As all our solutions are under warranty there will never with be a charge for this. This is unlike national manufacturers’ own suppliers who can charge £299 for this and an extra £100 if you want it back quicker! 15Do you repair them or does someone else? What will it cost? We can normally repair most quickly at our clinic. However we do have strong relationship with the laboratories so if we have to send them away they can usually return them within a week and without any charge to you. 16How would I get my hearing instruments repaired when I’m travelling? We have repaired instruments for several patients that have had issues while they were away: they have been lost in the Caribbean sea, lost on a world cruise and broken on a trip to Easter Island! In each case we sorted each of our trusted clients and also sent out a report instrument so that that their holiday wasn’t ruined. 17Will I be provided with loaner hearing instruments while mine are being repaired? We do have instruments that we give to patients if their solution has to be returned to the laboratory. 18What happens if my hearing changes? We constantly re-asses and re-evaluate your hearing. One of our major goals is to protect and take care of the natural hearing that you have left. To do this it is vital that we regularly monitor your hearing so in the majority of cases, we re-test patients every 6 months . Whenever we proceed with a solution we always ensure they have plenty of backup so if your hearing does change we can re-programme your solution to your new prescription.